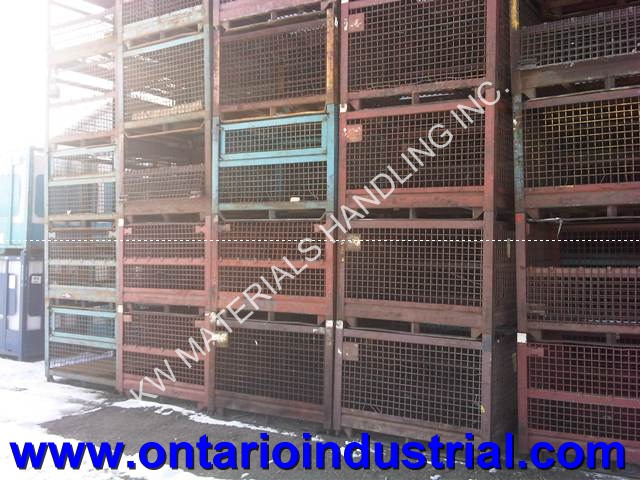 KW Materials Handling is your source for new and used GM 5131 style heavy-duty wire mesh containers. We have sold thousands of these used automotive containers. These bins are super heavy-duty and offer years of reliability for the automotive industry. 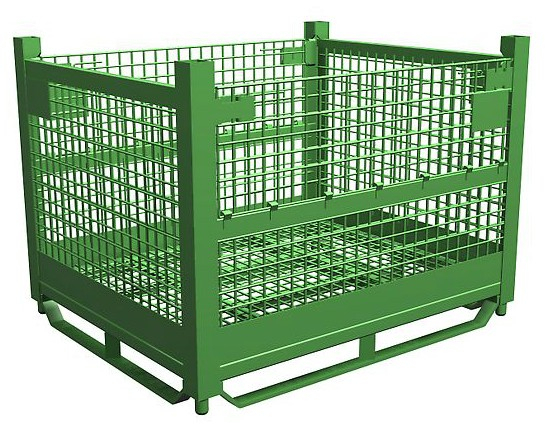 The standard dimensions on the GM 5131 wire mesh containers are 54" x 44" x 38"high. They come with a half drop gate on the 54" side. 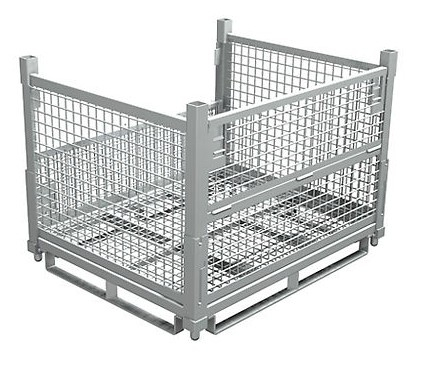 Constructed of heavy-duty wire mesh sides and floor. These containers are rated for 4000 lbs and stack up to 4 high. Fork stirrups are on the 54" side and they have pin feet for positive stacking.